Cancer is a concern that affects millions of people around the world. With such a prominent disease there are a lot of researchers working diligently to develop treatments. A treatment that has been gaining a lot of traction in the most recent years involves the use of essential oils; more specifically, the use of Frankincense (Boswellia Carterii) essential oil. Despite the links to Frankincense essential oil and the treatment of cancer, it is not a miracle cure. In world where news sources are posting misleading articles it is important to discern what is good research to determine what benefits Frankincense actually possesses. It is important to understand how and why Frankincense is being linked as a cancer treatment. This essential oil is produced from the Boswellia trees found in India and Africa. The cancer treating chemical in Frankincense is boswellic acid which has anti-neoplastic properties. Anti-neoplastic properties have the ability to prevent or inhibit the development of a tumor. This information is where most claims regarding Frankincense being a cure for cancer are derived. However it is important to know that Frankincense oil does not actually contain boswellic acid, as the molecule is too heavy to be volatile (Tisserand, 2016) and therefore does not come out in the distillation process. Boswellic acid can be found in Frankincense resin because the molecular weight can be supported. 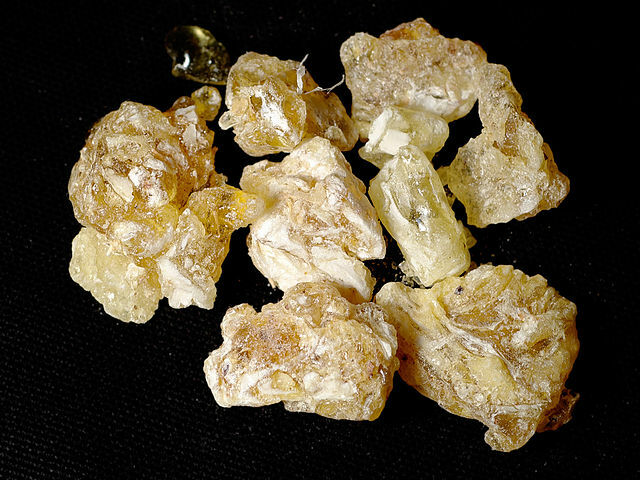 So far there is limited research involving Frankincense resin and cancer. While some of the results are promising there isn’t enough to conclude the resin as a treatment. When it comes to Frankincense research most studies are done in vitro. In vitro studies are studies conducted outside the body’s biological context in single case. This type of research isn’t necessarily a bad thing, but it means the research is a long way away from being a treatment. Researchers Mark Barton Frank, Qing Yang and their colleagues did a study testing Frankincense oil.This study involved a range of concentration of Frankincense oil in which the oil was able to distinguish cancerous cells from normal bladder cells (Frank and Yang, 2009). Frankincense oil was able to induce bladder cancer cell death via multiple pathways activated by the oil. The important thing to note about this study is that it states that this isn’t a cure for cancer and more research is needed. Overall the study provided good evidence that could suggest future treatments involving Frankincense. This research article makes no claims. As stated before, Frankincense oil contains no boswellic acid, but the resin does. This study tested the oil and had results regarding cancer cell death. The researchers further explain that this study is in vitro in an attempt to explain the benefits of Frankincense oil however in vitro testing (in a petri dish) does not necessarily translate to the same or similar effect in the human body. Acknowledging that Frankincense resin has anti-tumor properties allows for further research with the oil to determine if the oil has these similar properties. A follow-up study can be done to see if the resin has a greater effect on bladder cancer cells than the oil. While this research is well done, the final results show some promise but further research needs to be done to prove Frankincense oil as a treatment. 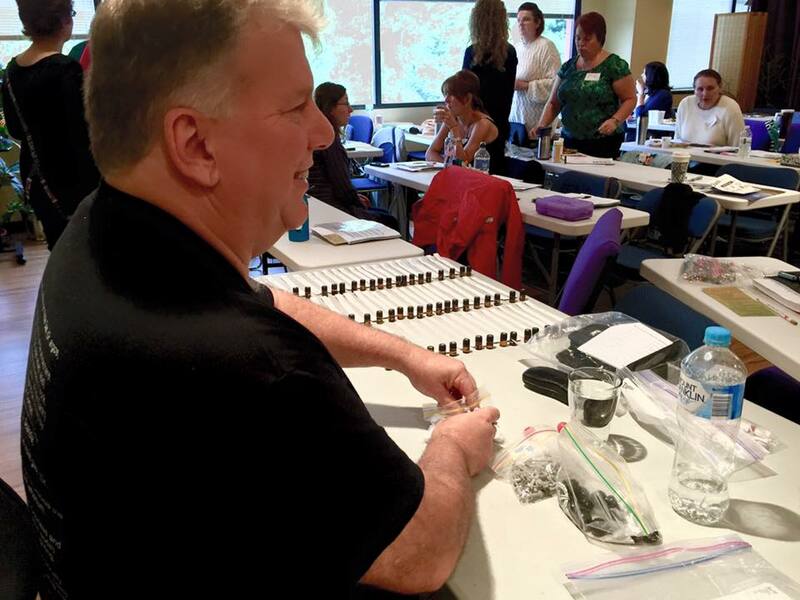 In the last couple of months, there has been an article floating around on various Aromatherapy groups making false claims regarding Frankincense oil. Most of the people in the (facebook) Aromatherapy groups were debating the accuracy and credibility of the article. This article made outrageous statements with regard to breast cancer. It stated that topical treatment of Frankincense oil can cure cancer, as it claimed to have cured the author’s own cancer. This is a single claim by one person and one that has not been validated by credible source. It could be true that this author had their cancer cured, but that doesn’t mean that it was cured by Frankincense oil nor does it guarantee it will work for everyone. This claim also doesn’t include any other methods or treatments the author was receiving that could have contributed to their cure. It is also important to note that since doing research and writing this blog post the article has been taken down. There are no current records of this article, and the group posts have been deleted. If this author did cure her breast cancer that is a wonderful thing and nothing should take that away from her. The problem is suggesting that it can cure all breast cancer and it puts light on the Aromatherapy industry. Making these claims without any research can give people false hope that their cancer can be cured. The article then goes into detail making more individual cases of Frankincense curing cancer, which is nothing more than shared testimonials that have not been evaluated and validated. There is no definitive research available on the oil or resin that suggest Frankincense can cure any form of cancer. Research is being done to determine the connection between the oil or resin and treatment. Frank M B, Yang Q, Osban J, Azzarello J T, Saban M R, Saban R, Ashley R A, Welter J C, Fung K-M, Lin H-K. (2009). Frankincense oil derived from Boswellia carteri induces tumor cell specific cytotoxicity. BMC Complement Altern Med. 9 (6). Published online. Available: http://www.ncbi.nlm.nih.gov/pmc/articles/PMC2664784/. Last accessed 8 March 2016.